Knowledge is power. A new generation of customers increasingly relies on the Internet as a prime source of information, and they want to find accurate answers, fast. At Enghouse Interactive, we have a powerful web self-service platform that makes knowledge management easy for you and creates a seamless experience for your users. Our SaaS-based knowledge platform lets you organise your entire knowledge base, evaluate and optimise support content, and develop valuable community forums, all from one place. Interesting 80% of customer’s questions can be answered by 20% of FAQ documentation, however this 20% needs to be continuously improved with feedback results and updating on an ongoing basis. Allow your customers to find the answers through FAQ pages or forums, embrace the kind of questions customers are likely to use to search for answers to accelerate time to resolve – and use historic information from calls or search terms to populate these. 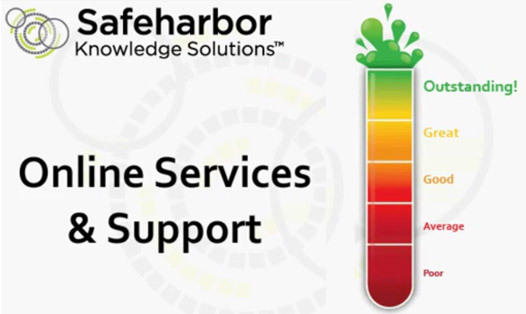 Lower support costs – Every question the knowledge base helps answer is real money saved. Better customer service – Empower customers with an easy-to-use support channel that quickly delivers the most relevant information. Improve agent performance – Provide your agents with a comprehensive repository of organisational knowledge and subject matter information. The process of keeping data organised, consistent and current is a daunting and often expensive challenge. Lacking proper management, these inefficiencies begin to quickly lead to diminishing support site ROI. Outdated or missing data within knowledge bases create customer dissatisfaction, increased support requests, and overall higher support costs. Enghouse Interactive’s knowledge management services group specialise in assisting companies with their knowledge management needs. We are your an one-stop Knowledge as a Service provider. We also offer services on an as needed basis. Our search engine offers excellent search capabilities, relevancy and accuracy. Rely on natural language search, hit highlighting, faceted navigation, rich document handling, content tagging, and more to find the most relevant information. Our article optimiser helps you maximise the ROI of your knowledge base. Powerful content and A/B testing helps you analyse user behaviour, understand how to improve content, reduce support requests, increase customer satisfaction and boost the performance of your self-service support site.